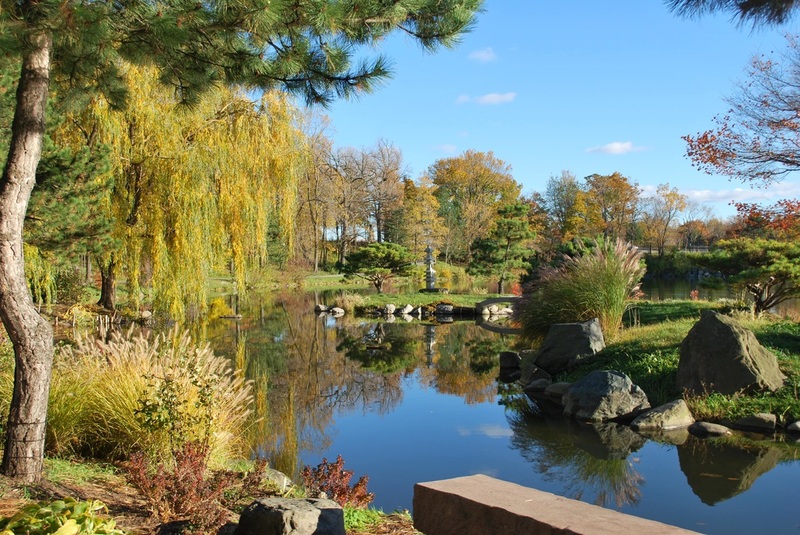 Where is the Japanese Garden of Buffalo? 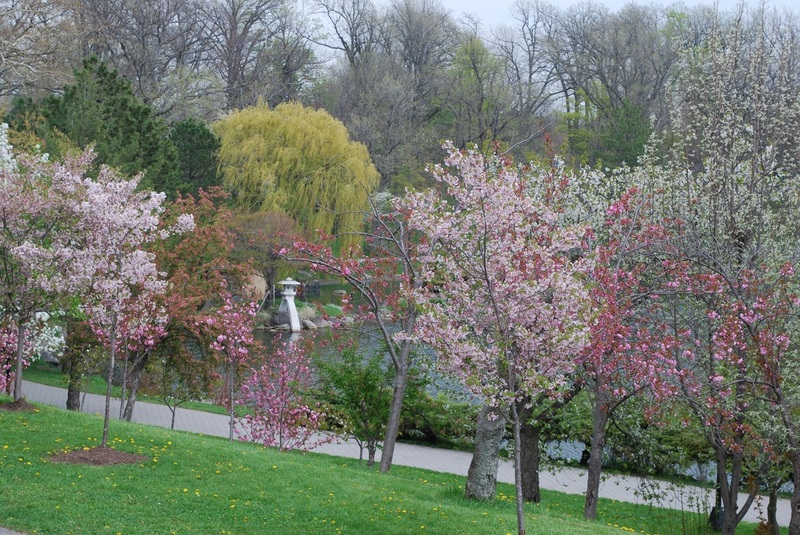 It is a part of Buffalo's Olmsted Park System, located in Delaware Park. Walk to the Japanese Garden from the parking lot of The Buffalo History Museum at 1 Museum Court which is located at the corner of Elmwood Avenue and Nottingham Terrace. 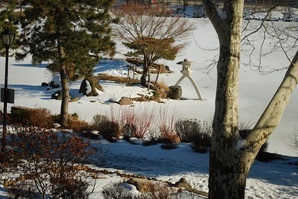 The Japanese Garden is open during daylight hours. Entrance is Free. There’s always plenty of parking (and parking is free too). The Buffalo History Museum is a building rich in history, as you might have guessed. The building was originally constructed as the 'New York State Pavilion' for the 1901 Pan-American Exposition. It was designed to be the only permanent structure from the exposition. The garden may be entered through two landscaped entrances on the edges of The Buffalo History Museum’s parking lot. 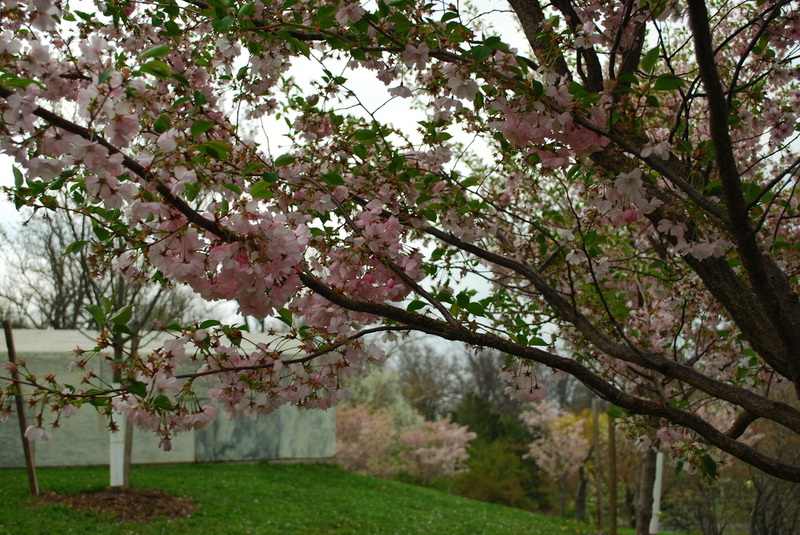 The one on the West side has a stepped path that is lined by flowering cherry trees and leads to a monument stone honoring the donors of the original garden. A pathway leading across the hillside below the history museum leads directly to the heart of the hillside garden with rugged stone steps brought over from Japan and placed by master gardeners from Kanazawa. Stepping down through the garden leads visitors through extensive plantings and a dry cascade of Cotoneasters to the Jesse Kregal Pathway. Following this path provides vistas of the garden’s three landscaped islands. Look for the arched stone bridge connecting two of the islands and a famous stone lantern with one foot out in the water, replicating a well-known feature of Kenrokuen Garden in Kanazawa. 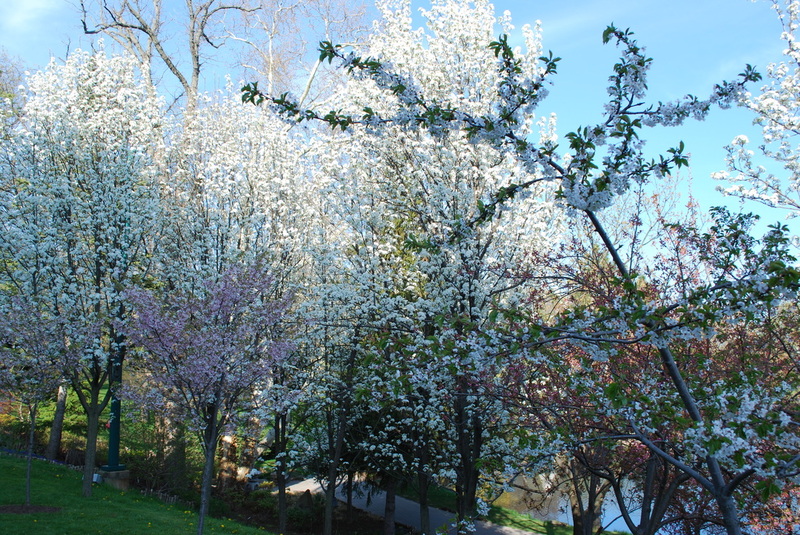 The Kregal Pathway continues to the east, leading to a monument of Mozart and on to a pedestrian bridge over the Scajaquada Highway to Hoyt Lake, the Marcy Casino and the Delaware Park Rose Garden. Look for a black granite stone marker that illustrates the layout of the Pan American Exposition at the foot of the pedestrian bridge. Staying on the Kregal Pathway will eventually lead visitors to the Point of the Meadow restrooms, the Delaware Meadow Golf Course, the popular Ring Road, and the Parkside Lodge, Conservancy headquarters. At the foot of the Japanese Garden hillside garden, a visitor can also turn west and head toward the entrance path and either step up to the parking lot, or continue on to a completely accessible trail. Continuing on the Jesse Kregal Pathway toward the west will take visitors out of Delaware Park. A short walk will lead visitors to the 250’ long mural by noted artist Augustina Droze celebrating the Buffalo landscapes of Frederick Law Olmsted painted in 2011. The Kregal Pathway stretches 1.8 miles to the Niagara River. The Niagara Riverwalk stretches to Niagara Falls and Lake Ontario to the north, or the Peace Bridge, and Lake Erie to the south. Falling in love with Cherry Blossoms? 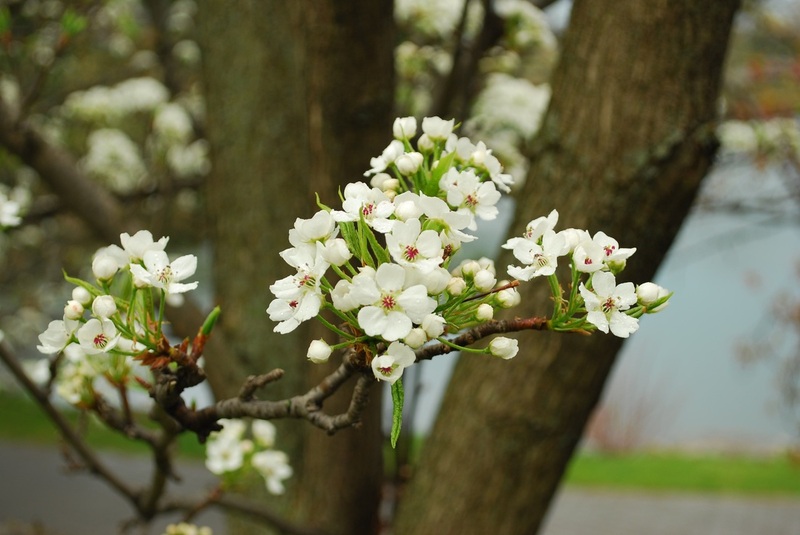 Why not visit more Cherry Blossom Festivals?